Section 1: About a holiday in an Eco-club. Questions: Filling in the gaps (table completion). Section 2: A presentation of a tourist company for the new employees. Section 3: A conversation between tutor and a student about a missing lecture and her future survey. Questions: Filling in the gaps, multiple choice questions, table completion, classification. Section 4: Research on water in Australia. Questions: Filling in the gaps and multiple choice questions. 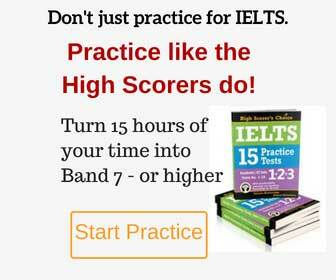 Note: the same questions appeared in the IELTS exam in France (General Training ). Passage 1: A text about two groups of people: maximizers and satisfiers. Questions: Multiple choice, information matching, True/False/Not Given. Passage 2: A text about history of the cars (description of different car models). Questions: Information matching, finding information in the paragraphs. Passage 3: A text about the lanes in the animal world and human society. Questions: Headings matching, diagram labeling. We had two pie charts which illustrated the average amount of time spent on different media forms in the USA by both the general population and teenagers in 2003. More and more people work today in the large cities. Which problems can it cause? How should the governments encourage people to stay in the small regional towns? – Where would you like to work in the future? Describe something old that your family keep. Questions about museums and keeping things from the past. Note: These questions were the same as in Speaking test in IELTS in Yagon, Myanmar.